Deciding to drop out of Yale University half-way through the curriculum requires a good reason. A privileged Ivy League education is not dispensed with lightly. 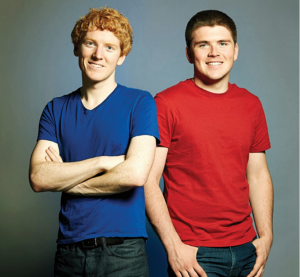 Thankfully, for Irish brothers John and Patrick Collison, millions of excellent reasons were at hand. Although only 27 and 25 years old, the pair of digital prodigies are on course to become two of the wealthiest college dropouts ever – and that’s saying something. They’ve already banked several millions with the sale of their start-up business Auctomatic – the reason for turning their backs on university – and are now riding the crest of a profit wave thanks to a partnership with Visa that has seen their latest venture already valued at more than $5 billion. The brothers grew up in a small hamlet, not too far from the city of Limerick. Gifted students, they were coding before hitting their teens, and had attracted potential investors for their Shuppa website before Patrick, the eldest by two years, had reached 18. The start of Auctomatic coincided with their move to the USA, purely because Enterprise Ireland – the government agency tasked with investing in home-grown businesses – was unable to allocate funding to the brothers’ Shuppa project. 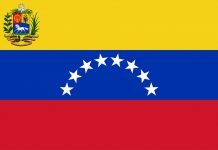 However, Silicon Valley-based investor Y Combinator had taken notice of the youngsters’ talents, and offered to bankroll their start-up. They teamed up with Oxford graduates Harjeet and Kulveer Taggar to merge Shuppa into a new money-spinning venture they named Auctomatic. Patrick had deferred his degree at the private Massachusetts Institute of Technology, and John’s promising studies at Yale were shelved as the brothers made the decision to throw everything they had into the online selling tool. In March 2008, aged 19 and 17, the Collisons and their partners sold Auctomatic to Canada’s Live Current Media and became overnight millionaires. Only a couple of years earlier, they had been amateur programmers messing about on home computers in their bedrooms. Suddenly, the brothers had become the darlings of Silicon Valley. They weren’t even old enough to buy a celebratory bottle of champagne. Aware that they had ditched an education envied by students the world over, Patrick and John agreed not to fritter their newfound fortune away. Wasting no time, they immediately set about working on an idea that had been ticking over in the back of their minds – a way of creating a secure online payment system for businesses and private users designed in such a way that developers can easily build it into their sites. Whilst this niche market could have been considered too specialist to generate the same kind of value their previous enterprise had attracted, the pair never doubted the concept. Calling their payment gateway Stripe, they allowed it to grow organically. The Collisons were certainly on to something from the get-go, as investors began queuing up to be part of the venture. Y Combinator was again engaged, offering seed funding in June 2010 which led to venture capitalists Peter Thiel, Andressen Horowitz, and Sequoia Capital ploughing $2 million into the embryonic scheme. The cash injection drove the brothers to launch Stripe publically, before a further $40 million was pumped into extra development. Now 22 and 20, the brothers were heading up a massive digital project with about $60 million of other people’s money committed. However, the lads remained unfazed. Instead, from their modest detached house in San Francisco’s they focussed on delivering a return on the massive investment. By 2014, they exceeded their own expectations, as well as those of their benefactors, when the company was valued at a staggering $1.75 billion. Now in its sixth year, Stripe has teamed up with Visa to work on a series of developments relating to security and digital transactions. The business has attracted an additional $100 million to grow its international footprint. By the end of last year, the 2014 valuation of the company almost paled into insignificance as it was announced Stripe was now worth in excess of $5 billion.